Joseph reminded me, first thing this morning, that it was St. Patrick’s Day. 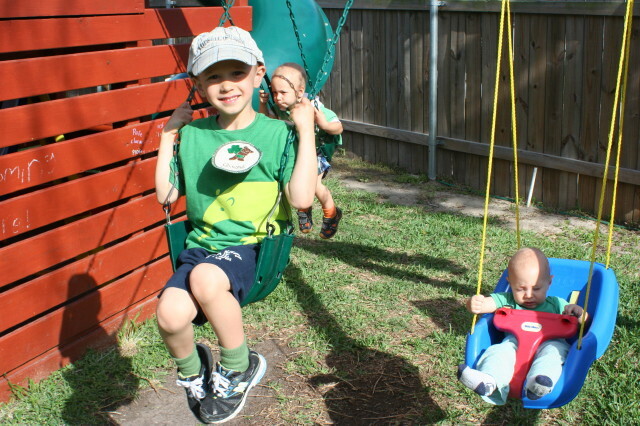 Out came the green shirts and green socks (and the boys even found their green underwear!). 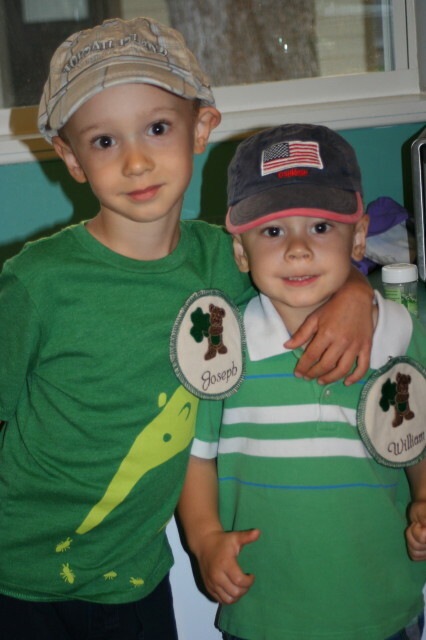 I pinned on their St. Patrick’s Day patches that Grandma Cindy made and their outfits were complete. We made St. Patrick’s Day cinnamon rolls (cinnamon rolls with green shamrock sprinkles), read Patrick: Patron Saint of Ireland (which served as a great reminder that “nothing is impossible with God”), and made shamrocks out of play-doh. What did you do to celebrate? Oops, I didn’t make Roo’s right. I will have to make another one. I can’t wait until tomorrow.